Les Oniwabans surprennent Robin, Robin dit qu'elle est le Witching Hour Boy (si j'ai bien compris c'est le voleur mentionné par les gens du village d'Ebisu), et qu'elle est venu enquêter sur les flux d'argent dans la capital des fleurs. Fukurokuju attaque Robin mais ce n'est pas la vraie Robin. C'est un clone crée grâce à son FDD. Pendant qu'elle s’échappe, Robin contacte Nami, Brook et Shinobu. Elle leur dit qu'il y a au minimum 11 ninjas dans la demeure. Orochi : " C'est la 20eme année depuis la mort d'Oden, c'est l'année de la revanche annoncé par Toki. La volonté d'Oden est toujours en vie quelque part ! " Un des subordonnées d'Orochi est fatigué de cette histoire et dit: Encore ?? Orochi : Connaissez-vous l'incroyable force des 9 fourreaux rouges ? Et Kinemon a le potentiel d'être un Leader, Il est intelligent. Ils feront tous les préparatifs et feront le maximum pour obtenir ma tête. L'incident du Yokozuna à Kuri (coucou Sumo Luffy), le combat contre les subordonnés de Jack et le propriétaire de cette boutique de Soba! Kinemon est le mastermind derrière tout ces événements. Mais les subordonnées d'Orochi se fichent complétement de ce discours. Kyoshiro : " J'espère qu'ils sont bien ressuscités d'une quelconque façon, et je les mettrais au tapis "
Orochi : "Le fils d'Oden est toujours en vie, ils essayent de faire revivre le clan Kozuki et vaincre Kaido." Les hommes d'Orochi veulent rigoler, ils pensent que quelques choses ne va pas avec le cerveau de leur Boss. Otoko rit d'Orochi et cela l'énerve. Orochi sort son épée, Mais Komurasaki se tient face à lui et lui donne une grosse giffle. Orochi est furieux et se transforme en Orochi (serpent 8 tête). Pendant ce temps les Oniwabans trouvent Robin. Assis au milieu de ce Chaos, Kyoshiro pose finalement sa main sur son sabre. 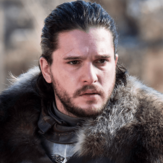 Certaines parties des spoils ont été classées en fake. Et le "combat" du cuistot déjà "terminé" ? Le FDD du cochon, bravo Oda. queen possède le fruit du porc model ancient, page one qui après avoir été frappé par sanji et retrouve ses esprit a son rèveil sanji avait disparu et il parle a drake du furtif black ,luffy et kid détruise la prison et séchape ,6 tète de dragon apparait se droit ètre le chogun transformé . Apparemment page1 se relève, donc on est dans une sorte de match nul ou il est probable ou les 2 adversaires n'ont pas tout montré. Pas content sanji avait dit que c'était le moment de réduire les forces de BM et au final il ne fait que révéler son pouvoir spécial. Comme on pouvait s'en douter l'oirane et le shogun qui ont eu des titres de chapitres sont importants et sûrement puissants et dangereux. On en apprend sur Queen, j'imagine que c'est lui le boss de la prison. A voir si caribou et les autres prisonniers ont fuis. Je pense notamment au prisonnier spécial dont on a pas vu l'apparence. Attention certaines parties du spoil encore dans le premier post ont finis en fake. Et poster un spoil en Chinois ou Japonais aucun interet. Caesar is eager to write a notice of recruitment to create a murder weapon, and the sheep on the side is eating the letter he wrote. At the banquet, everyone was immersed in the music played by Xiao Zi. Leader of Oniwabans asked Robin, Robin said that he was an ugly three kid (??? ), and came here to investigate the flow of money in the flower capital. Robin contacted Nami, Xiao Ren (???) and Brooke during the escape process and told everyone that there were at least 11 ninjas in the house. Oniwabans ordered to continue to hunt down Robin. Robin returned to the banquet. Orochi shouted at the banquet: This year is the 20th year of the death of Oden Family, the year of revenge that Oden's wife said. The will of Lady Toki is still alive. One of the men seemed to be impatient to say something: it started again. The big snake went on to say: Do you still remember that the nine people in the red sheath are more powerful than ordinary people! ? Among them, Jin Weimen, who has the talents of leadership, is a man with a flexible mind! ! They will be resurrected and ready in 20 years! ! In order to take my head away! ! Several of his men dismissed this remark. Source from Redon, Scotchinformer and Mangatail. Cover Page: Caesar eagerly wrote a notice of recruiting to create a murder weapon, and the sheep on the side was eating the letter he wrote. The Oniwabanshu gets Robin. Robin says "I'm the witching hour boy, I came here to investigate on the flow of money in Flower Capital. "Fukurokuju attacks Robin, but it is not the real Robin. It is the fake Robin made by her ability.While escaping, Robins calls Nami, Brook and Shinobu. She tells them that there are at least 11 ninjyas in this house.Orochi: This is the 20th year after Oden's death. And it's the revenge year said by Toki. The wills of Oden are still alive somewhere.One of subordinates are getting tired of this story, and says, "again? ".Orochi: "Did you guys know about the unbelievable strength of Nine Red Scabbard ? And Kinemon has a potential to be a leader, he is a smart one, they will do all the preparations and do their best to take my head! The yokuzuna incident in Kuri, fight against Jack's subordinates and that soba shop owner, Kinemon is the master mind behind all of these! "But the subordinates don't care much about Orochi's speech.Kyoshiro: "I hope they really "revived" somehow, and I will take them down. "Orochi: "Oden's son is still alive, they are trying to revive the Kozuki Clan and beat Kaido. "Orochi's guys want to laugh, they think something is wrong with Orochi's brain.Otoko laughs at Orochi, and Orochi is pissed.Orochi takes out his sword, but Komurasaki stands in front of him and gives him a big slap.Orochi is mad and turns into a Orochi. Meanwhile, the Oniwabanshu finds Robin.Sitting around all of the chaos, Kyoshiro finally put hand on his sword. Il y a des infos supplémentaires ! Les deux parties sont en anglais finalement. Cover: Caesar is writing a hiring poster devotedly to hire people to help him build lethal weapons. A goat is eating his paper. At the banquet, everyone is immersed in the music Komurasaki is playing. Oniwabanshu questioned Robin. Robin claimed herself to be Witching Hour Boy (wait is that how you translate the name?) and that she is here to investigate the money flow in the Flower Capital. The head of Oniwabanshu gives order to arrest Robin. Robin is attacked. The next second she turns into flower petals and escapes. Yup that Robin is merely a substitute using her DF power. While escaping, Robin contacts Nami, Shinobu, and Brook and tells them there're at least 11 ninjas in the mansion. The head of Oniwabanshu orders them to continue pursuing Robin. Robin returns to the banquet. Orochi shouts at the people at the banquet: It's the 20th year after Kouzuki Oden's death and is said to be the year of revenge according to his wife. Oden's will still exists in this world. Orochi goes on: "Do you remember the extraordinary power of the Nine Red Scabbards? The one with leadership skills among them, Kinemon, is a man with a quick and smart mind! " "They will revive after these 20 years and get prepared!!! In order to take my head!!! " His men don't care a bit about his words. Orochi mentions the Yokotsuna incident in Kuri, the fact that Jack's henchmen were attacked, and the soba-stand incident, the fact that Yakuza were attacked by rounin (wikipedia page). "They were all directed by Kinemon behind the curtain!" Upon hearing Orochi's words, Koushirou tells him "I wish the Kinemon's Nine Red Scabbards appear! I'll take them down without even blinking." Orochi immediately praises Koushirou and continues: "Oden died in front of my eyes but his son is still alive! No one has ever found that brat's corpse! The bloodline of the Kouzuki Clan has not been ended! They are still working to revive the Kouzuki Clan! I believe that they want Kaido's head too." His men are trying very hard not to laugh. They think that their boss is delusional. And they hear laughing - from O-toko. Orochi is furious for someone laughing at him. He wants to kill O-toko but Komurasaki stands out and stops him. Orochi still wields his sword. Komurasaki stands in front of O-toko and slaps Orochi right on his face. Everyone is panicked and one of them tells Komurasaki to "kneel and apologize immediately". Komurasaki is dead serious and says: "I will not bend my knees to anyone! You can kill me, a harmless woman, but I'm a samurai's daughter and I will never yield or surrender!" Orochi is so furious that he turns into Yamata no Orochi. Komurasaki is facing danger. At the same time, Oniwabanshu finds Robin. Everything is in chaos, and Koushirou clenches the hilt of his katana. Couverture: César est en train d'écrire une affiche d'embauche afin d'embaucher des gens pour l'aider à fabriquer des armes meurtrières. Une chèvre mange son papier. Lors du banquet, tout le monde est plongé dans la musique que joue Komurasaki. Les Oniwaban ont interrogé Robin. Robin a prétendu être Witching Hour Boy. Et qu'elle est ici pour enquêter sur le flux monétaire dans la capitale des fleurs. Le chef des Oniwaban donne l'ordre d'arrêter Robin. Robin est attaqué. La seconde suivante, elle se transforme en pétales de fleurs et s'échappe. Oui, Robin n'est qu'un substitut utilisant son pouvoir. En s'échappant, Robin contacte Nami, Shinobu et Brook et leur dit qu'il y a au moins 11 ninjas dans le manoir. Le chef des Oniwaban leur ordonne de continuer à poursuivre Robin. Robin retourne au banquet. Orochi crie après le banquet: "C’est la vingtième année après la mort de Kouzuki Oden et on dit que c’est l’année de la vengeance selon son épouse. La volonté d'Oden existe toujours dans ce monde." Un de ses hommes semble impatient et dit: "Le voilà qui recommence ..."
Orochi poursuit: "Vous souvenez-vous de l'extraordinaire pouvoir des Neufs fourreaux rouges? Celui qui possède des compétences en leadership, Kinemon, est un homme doté d'un esprit vif et intelligent!" "Ils vont revivre après ces 20 ans et se préparer !!! Pour me prendre la tête !!!" Ses hommes ne se soucient pas de ses paroles. Orochi mentionne l'incident du Yokotsuna à Kuri, le fait que les hommes de main de Jack ont été attaqués et l'incident du soba-stand, le fait que Yakuza a été attaqué par le rounin. "Ils ont tous été dirigés par Kinemon derrière le rideau!" En entendant les mots d'Orochi, Koushirou lui dit: "Je souhaite que les neuf fourreaux rouges de Kinemon apparaissent! Je les enlèverai sans même cligner des yeux." Orochi félicite immédiatement Koushirou et continue: "Oden est mort sous mes yeux mais son fils est toujours en vie! Personne n'a jamais retrouvé le cadavre de ce gosse! La lignée du clan Kozuki n'est pas encore terminée! Clan! Je crois qu'ils veulent aussi la tête de Kaido. " Ses hommes essaient très fort de ne pas rire. Ils pensent que leur patron délire. Et ils entendent le rire - de O-toko. Orochi est furieux que quelqu'un se moque de lui. Il veut tuer O-toko mais Komurasaki se démarque et l'arrête. Orochi tient toujours son épée. Komurasaki se tient devant O-toko et gifle Orochi sur son visage. Tout le monde est pris de panique et l'un d'entre eux dit à Komurasaki de "se mettre à genoux et de s'excuser immédiatement". Komurasaki est très sérieuse et dit: "Je ne plierai pas les genoux à qui que ce soit! Vous pouvez me tuer, une femme sans danger, mais je suis la fille d'un samouraï et je ne céderai jamais ni ne me rendrai!" Orochi est tellement furieux qu'il se transforme en Yamata no Orochi. Komurasaki fait face à un danger. Au même moment, les Onibawan trouve Robin. Tout est dans le chaos et Koushirou serre la garde de son katana. Du coup comme prévu l'oiran est la fille de quelqu'un d'important. On était partie sur Oden, maintenant on a aussi en candidat les 3 fameux samouraïs évoqués qu'on a commencé à croiser et kinemon qui est un samouraï. Je serais pas surpris qu'elle soit la fille d'un de ses 5 personnages. Jusqu'à présent, on a vu kyoshiro qui a défendu l'oiran, donc le voir mettre la main au sabre peu laisser le doute sur ce qu'il va faire comme il méprise en partie le shogun. Va t-il attaquer le shogun ou a t-il repéré robin? Dans l'arc précédent, tout ce qui était fait retombait comme prestige sur Luffy, on a le même phénomène là avec Kinemon qui le pauvre n'est pas responsable de la moitié des éléments donné par le shogun. Mais on a vu que kanjuro était un serviteur des kozukis, le shogun met bien en évidence kinemon qui semblait avoir un rôle bien plus important dans la famille j'imagine qu'il est le plus haut gradé des 4 membres liés à la famille kozuki. Je vois de plus en plus kinemon comme l'égal au niveau d'importance à Wano que kioshirou. Un peu moins qu'un daïmio parce que ne contrôlant pas une ile assez grande mais plus qu'un simple samouraï car chef d'un clan. Quand je vois ce chapitre, je me dis que Orochi n'est absolument pas respecté par ses subordonnés, le mec on se fou de sa gueule et il se fait gifler comme un gosse. J'ai de plus en plus l'impression que Kyoshiro était un homme de main de Oden et qu'il joue une couverture auprès d'Orochi. Pourquoi avoir mis quelqu'un comme Orochi au pouvoir ? Serai-ce pour en faire le leader "officiel" mais qui est contrôlé dans l'ombre par un autre personnage ? ( autre que Kaido ) Kyoshiro peut-être ? Alors à chaud,je suis content d'un spoil aussi rapide et sympathique ! Petite question : la première partie du spoil (j'ai lu l'intégralité de tous les messages) est-elle un fake ? Je parle du passage avec Sanji,Page One,Drake,et le FDD de Queen ! Orochi est plutôt pas mal sous forme Animale (seule l'une d'entre elle parmi les 8 porte son "chignon"...) !! Hâte de voir l'hybride !! Je pense qu'elle n'est pas le Witching Hour Boy,mais qu'elle se sert de ce nom pour lui mettre toute la responsabilité dessus ! Leader des 9 fourreaux rouges grâce à son intelligence et à sa volonté. On s'en doutait,mais au moins cela semble se confirmer,même si ce n'est pas leur "leader" officiel. Il n'est pas le plus puissant d'entre eux non plus,mais c'est pas si mal que ça. Orochi parle de leur puissance,mais pour l'instant aucun d'entre eux ne m'a ébahi,sans non plus être mauvais. Seuls Ashura Douji a réellement été hypé,ainsi que Kawamatsu et Denjiro. J'espère cependant voir chacun des 9 fourreaux rouges avoir un combat également (comme les mugis),afin de les mettre en valeur et observer leur variété. Contrairement à ce que disent plusieurs personnes,je ne pense pas que Kurozumi Orochi soit bête ou nul ! Je trouve qu'au contraire,c'est le seul à prendre au sérieux la prophétie,lorsque tout le monde s'en moque,et pourtant nous savons tous qu'il a raison !! Enfin,il n'est peut-être pas le plus puissant des samouraïs,ou peut-être que si,mais c'est lui qui a obtenu le soutien de Kaido,c'est lui qui a pris le pouvoir dans un pays qui respecte la force ! Comme il le disaitau CP0,il connaît les forces du GM ou du monde,etc...et pourtant il n'est pas prêt à se soumettre. Kyoshiro est classe et se moque de lui comme si c'était un couard,mais c'est plutôt Kyoshiro qui est arrogant. Il doit être très puissant,mais pas de là à vaincre les 9 fourreaux rouges. Orochi est susceptible,sans gêne,mais il est très malin !! Honnêtement,je suis loin de le voir comme un pantin ! Cependant,Kyoshiro va-t-il intervenir pour protéger sa geisha ? Il est un peu à part,comme un Corsaire pour le Shogun. 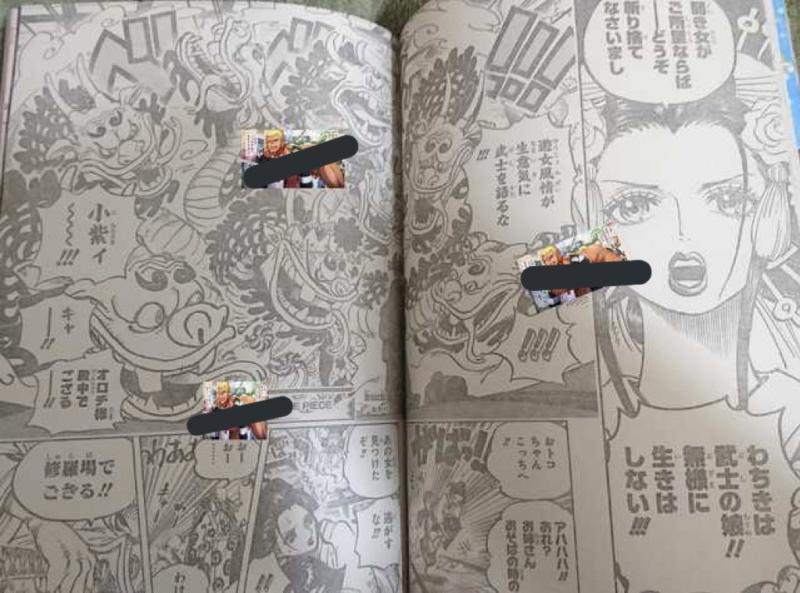 robin apris otoko dans ses bras pendant quelle court sur les deux images dans bas( p.s aujourd'hui ses l'anniversaire de robin selon oda) il semblera que oda est mis luffy au coin parce qu'il est une source de problème , et difficile a géré s'il était en liberté ,se qui est ironique c'est que zoro qui se perd tous le temps ,attire moins l'attention que luffy . C'est plutôt l'oiran qui sauve Toko. Et pour les problèmes de luffy, il pique la nourriture là où zoro se fait des potes de beuverie, normal qu'il passe plus discret. Le shogun orochi est un vrai mystère il est à la fois grotesque mais avec un fruit sacrément "intéressant". Pour moi orochi à clairement un zoan mythique,cependant le fruit du démon ne fait pas l'homme pour moi il ne vaut qu'un numéro 5 yonko si il à un minimum de force,maximum niveaux doflamingo. Peut être que zorro va affronter le shogun dans cette act 2? Â moins que se soit momonosuke version adulte durant la bataille final. Kyoshiro à l'air balaise sûrement comparable à asura douji. c'est nico robin prend la fuite avec o- toko dans ses bras , et la courtisane fait toujours face au shogun qui ses transformé en hydre ,le défiant de la tué doux le fait que kyoshiro est près a faire usage de son sabre pour la défendre, étant donné quelle est sa partenaire d'affaire .